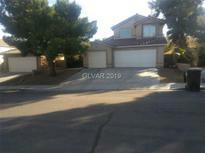 Below you can view all the homes for sale in the Village At Craig Ranch subdivision located in North Las Vegas Nevada. 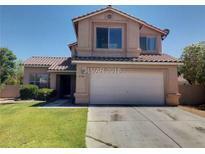 Listings in Village At Craig Ranch are updated daily from data we receive from the Las Vegas multiple listing service. To learn more about any of these homes or to receive custom notifications when a new property is listed for sale in Village At Craig Ranch, give us a call at 702-323-5963. Beautiful,upgraded 5 bdrm,3 car garage home with bed & bath downstairs,separate living rm ,family rm,with a balcony upstairs from master bedrm with city views.Gourmet kitchen with granite counters,back splash and new stainless & black appliances,big pantry & lots of storage spaces.Great home nestled in a gated community with recreation facilities,RV parking,and close proximity to schools,stores,and freeway access. MLS#2064712. Compass Realty & Management, L. ...SPECTACULAR SINGLE STORY IN GATED COMMUNITY***THIS CHARMING HOME OFFERS AN OPEN FLOOR PLAN WITH VAULTED CEILING***FIREPLACE***NEUTRAL COLORS THROUGHOUT THE HOUSE***3 BEDROOMS, 2 FULL BATHROOMS, FAMILY ROOM, LIVING ROOM, DINING ROOM, SPACIOUS KITCHEN WITH PANTRY, OVERSIZED PATIO, Master Retreat attached to Master* 2 CAR GARAGE AND MUCH MORE***FABULOUS COMMUNITY PARK WITH TENNIS COURT***CALL ME FOR DETAILS**Small Pet and owners needs to put away MLS#2049168. Addicted Realty LLC. !Perfect cul de sac location ,large kitchen with island, huge, lush backyard with custom stamped concrete patio , perfect yard for entertaining ,Very clean nice kept home. Gated community MLS#2045393. King Realty Group. This community has a parking area for your RV plus tennis courts and a park! MLS#2045284. Pulse Realty Group LLC.